BAP OFFICIAL E-BLAST - CHEF KEVIN'S FEATURED ENTREE CHICKEN & DUMPLINGS, LATIN NIGHT TONIGHT, HAPPY HOUR THURSDAY & FRIDAY AND TOYS AT SAVOY - WELCOME TO THE GOOD LIFE! CHEF KEVIN'S FEATURED ENTREE CHICKEN & DUMPLINGS, LATIN NIGHT TONIGHT, HAPPY HOUR THURSDAY & FRIDAY AND TOYS AT SAVOY - WELCOME TO THE GOOD LIFE! 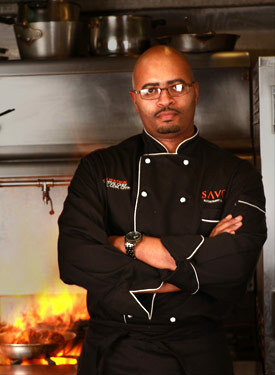 WELCOME TO THE GOOD LIFE AT SAVOY RESTAURANT! 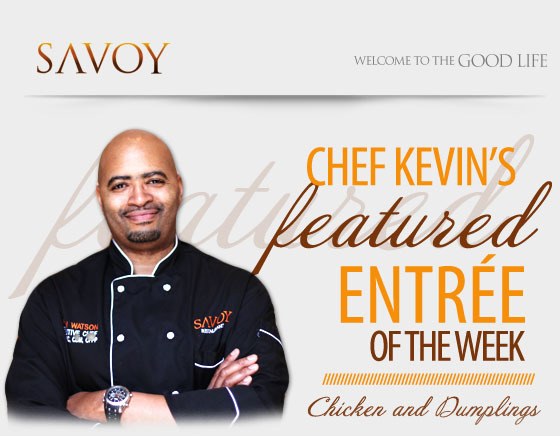 Come to SAVOY this week and try Chef Kevin Watson's Featured Entree of the week! This week's feature is the Chicken and Dumplings. This dish consists of a Roasted Chicken Breast in Sauce Veloute with Handmade Dijon and Chive Dumplings and tastes best when paired with Montoya Pinot Noir. Montoya Pinot Noir has a medium to strong acidity with strong cherry and hints of plum and pepper. This wine had a nice medium to long finish. SAVOY presents Latin Night Each & Every Wednesday At The Home Of The Good Life! 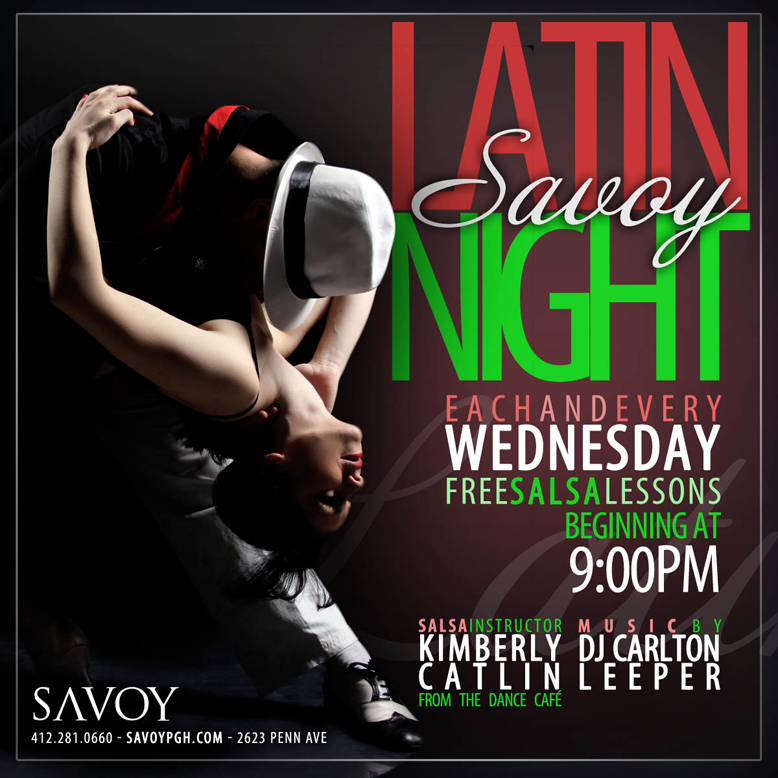 Join us TONIGHT in our Lounge for the BEST salsa night in the city...SAVOY Latin Night!! There will be free salsa lessons from Dance Cafe's Kimberly Catlin from 7:00pm to 7:30pm, with music by Salsa412's Edgar and Loyal! Come enjoy the best HAPPY HOUR in the city every Thursday & Friday Night! 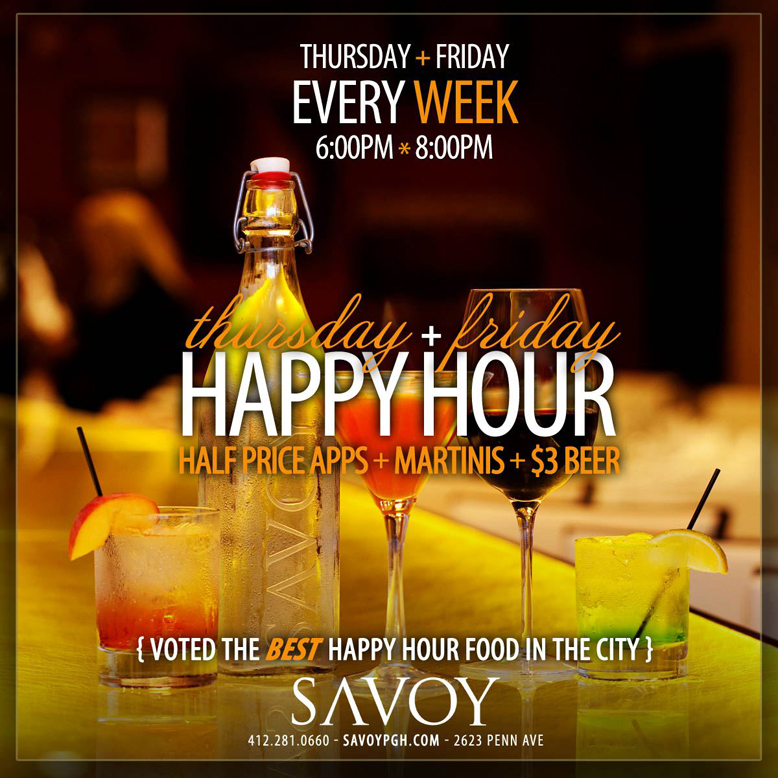 The Savoy happy hour features half priced appetizers and martinis, as well as $3 beers. Savoy's happy hour menu won one of the four awards brought home from the 2012 Savor Pittsburgh culinary competition. You're not going to want to miss this menu! So join us every Thursday and Friday from 6pm until 8pm for happy hour, and taste the good life. Help us celebrate the holiday season with the Children's Sickle Cell Foundation's 5th Annual Season 2 Give! 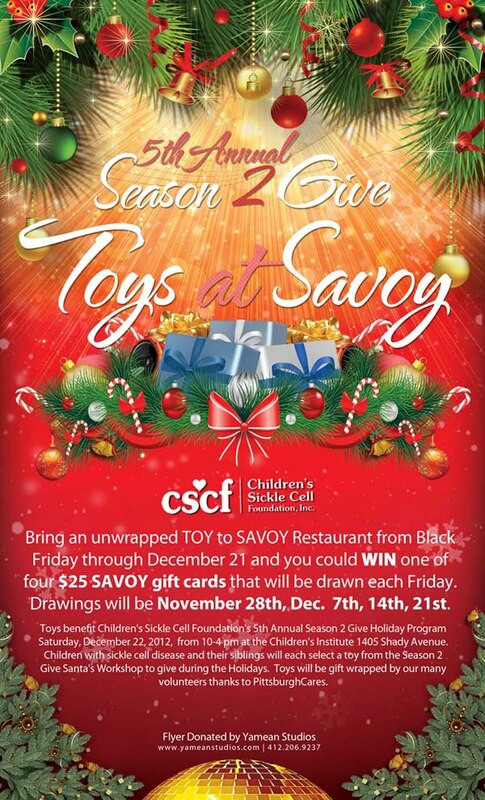 Bring a new, unwrapped toy to SAVOY from now until December 21st and you could WIN one of four $25 Savoy Gift Cards that will be drawn each Friday! Toys benefit Children's Sickle Cell Foundation's 5th Annual Season 2 Give Program on Saturday, December 22nd at the Children's Institute!